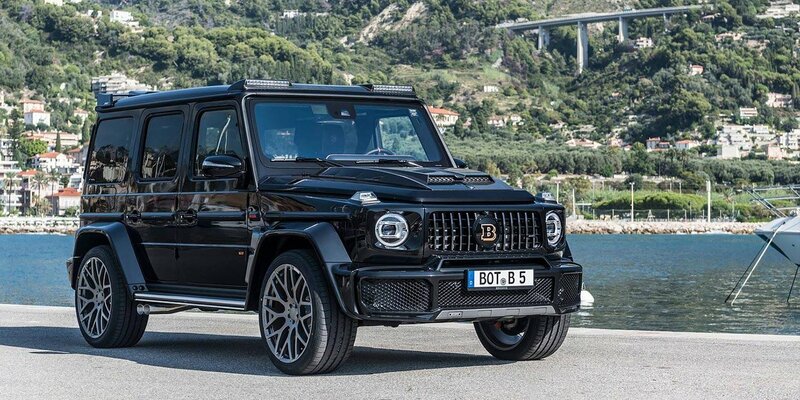 The 'hot' all-terrain Mercedes-AMG G 63 got a special version from the Brabus atelier. The car was named 700 Widestar and showed it to the public at the exhibition of boats and yachts, which took place in Monaco. A large car is driven by an improved 4.0-liter petrol V8 with 700 "horses." Such motor allows the Brabus 700 Widestar to accelerate to the first 100 km/h in 4.3 seconds. The maximum speed is 240 km/h. The inflatable 'eight' was related to the nine-speed automatic transmission AMG Speedshift TCT, as well as the all-wheel-drive system AMG Performance 4Matic. The all-terrain vehicle is equipped with sports exhaust equipment, where there are chrome pipes, massive wheels, LED lighting, a spoiler, and 23-inch disks.